If you’re going on a mission, Allen’s your man. An ex-recon marine and martial arts expert, he’s designed a wide range of innovative knives with a tactical emphasis. His award-winning blades have been featured in countless magazines and have been collected by heads of state and members of royal families. 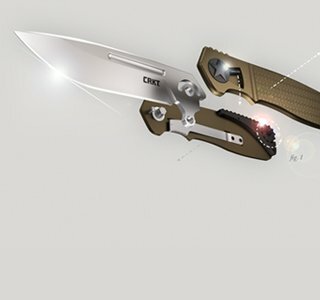 Allen has been responsible for successful CRKT® models like the Elishewitz F.T.W.S.® and Tao® Tactical Pens.